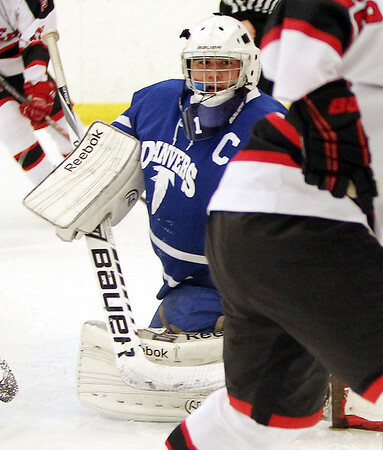 Danvers senior captain and goalie Alex Taylor keeps his eyes on the puck as it travels behind his net at the Rockett Arena at Salem State University on Saturday afternoon. DAVID LE/Staff photo. 1/17/15.